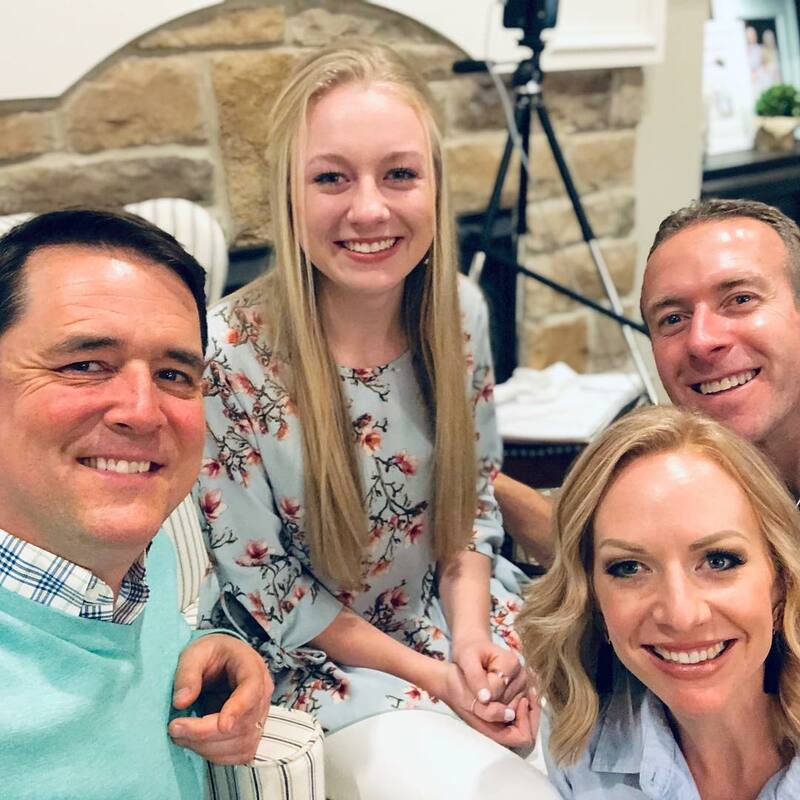 In a Mormon Stories first, Leah and Cody Young’s daughter, Brinley (15), joins us in the final segments of our epic interview with the Young family to discuss her family’s Mormon journey from a teen perspective. We conclude this interview by discussing how the Young family managed to turn a situation that felt like a nightmare into a gift that has led to a much healthier marital relationship for Leah/Cody, and improved parent/child relationships throughout the entire family, including how they have managed relationships with believing family/friends/co-workers. We also discuss their interaction with a high-level Mormon apologist, and their recent interactions with their bishop/stake president in response to their formation of a support group for transitioning/post-Mormons in Columbus, Ohio. Our first 4 segments which focuses on the impact a faith crisis had on Leah and Cody Young’s marriage may be found here. Thank you John for bringing us these Mormon Stories interviews. There is a lot of healing that comes from listening to others journeys. This was a wonderful episode and a beautiful family. My sister pointed this out and I’m only through the first two segments, but it is wonderful having the perspective of a teenager. I would encourage more of that. Forty years ago I decided the church wasn’t true when I was twelve after praying and reading. My family gave me a choice of leaving home, I had no idea what that would mean, or go to the services and meet with the bishop regularly. I had no idea other kids may have been having their own issues. At seventeen I left for college and realized I had no believe in any deity, but that didn’t matter. Like this family I developed my own set of moral values. Being good and deeply curious are at the root. Since then life has been wonderful. I’ve had the opportunity to ask some very deep questions that led to answers, but more importantly deeper questions (I’m a physicist). I’ve also had the good fortune to work in a community where no one considers supernatural belief interesting or important. If someone believes that’s fine, but otherwise just be good and be a good person. I’m guessing there are many teens out there who aren’t as lucky as Brinley to have a family making the journey more or less together with respect for beliefs and love for each other. Brinley has the right tools – she’ll find happiness and joy in life. What a kind, thoughtful, loving, informative 7+ hours of healing for me. John, it was brilliant and so appropriate to do the reverse Patriarchy thing and have Brinley have the last word! I could go on and on, but I just want to give you all a heartfelt thank you! My only hope is that in some way my gratitude and appreciation will be felt by each of you! This was a wonderful podcast – thank you for telling your story Layton family, and thank you John for giving them the platform! Kudos to Brinley for your vulnerability and honesty – so mature and wise. I was in tears when you told your EFY story. Having Jesus and Heavenly Father in my life was so comforting, and then all of a sudden not knowing if they were real was devastating. I can relate completely and still struggle with it to this day. Best I have found is to live a life of love, friendship, kindness, and charity and the divine has a way of manifesting itself. Wow! Brinley is an amazing, articulate, smart young woman! Even though she’s only 15 years old and has been going through this for a year, it sounds like she’s learned as much as I have at 43 going through my own faith transition for 7+ years. Loved these interviews! Watched every minute and loved every minute. Thanks John, and thanks Young family, you’re all incredible! John, one thing you might consider adding to these interviews is how people reconcile their conversion out of Mormonism with their conversion into it. I’ve noticed sometimes you interview people that will report a powerful Mormon conversion, but then not really explore how they feel about that experience in light of the truths they later discover. For example, in this instance I would have liked to see/hear discussed how Cody reconciles his newfound understanding with his mission “conversion story”. Clearly there was something profound about how he went from partly inactive to all-in and way orthodox missionary and RM. So how does he reconcile that process/those experiences with his transition out of Mormonism? Anyway, again, great discussion and great family. Thanks again to all of you! Thank you , thank you thank you for this beautiful interview. I have laughed, nodded, felt known, been reflected,cried along with Leah, Cody and Brinley. I have been particularly moved by Brinley. She is the age that I was when my parents divorced after my mom left the church and was excommunicated. The adolescent in me cried with her as she described the grief she experienced at the real possibility that the church and the belief that our families have to be sealed to be together after this life was not true and her family was being broken apart. I am so so inspired and feel so much love and hope listening to this wonderful family, their vulnerability, their courage, their intentional way of living and parenting. I am gobbling up Mormon Stories. A few years into my faith transition, just recently being ready and giving myself permission to hear more and watch Mormon Stories. Thank you also to you, John Dehlin for who you are, commitment to thoughtfulness and authenticity. I am a 51 yo active male member. I am three weeks down the rabbit hole now. It has been the most difficult time in my life, and I have been through a divorce…I feel like a piece of me has been ripped out. From what it sounds like, there are a lot more people out there like me than I ever realized so I will not bore you with the emotions, etc. other than to say that I have never felt so alone. “Thank God”, I have an understanding wife, but she is afraid as well and not ready to hear the truth. The red pill is a pretty scary prospect, and one that I have sometimes wished I had not taken a few time in the last few weeks. Ignorance was so comfortable. “Unfortunately” I have always said that I wanted to live with integrity, so I am finding out how serious I take that value. It has not been easy. I don’t know how this will end. I have placed my family, friends, identity and foundation on the alter of integrity. I know that my membership is over. After listening to the Youngs, I also know how I will comport myself with those that I love. I have been pretty angry these past few days. Like someone stole my life from me. That emotion won’t help in the end. The Young’s showed me that. Your compassion and humility has changed everything for me. I cannot express what it means to me at this moment in my life. I just finished listening to your remarkable story. Thank you for sharing it. I admire you for the support you are offering to others. I left the church decades ago and compared to what you’ve gone through, I got off light. I had a community or friends outside the church so the shunning was not as significant as it might have been. I knew nothing about Mormon history until a few years ago. Even as an Exmo the history was shocking. It seems to me that even as the Mormon church has become more candid about their origins they are at the same time circling the wagons to keep this information out. Members are told to ignored church history, or excuse it. Under pressure the leadership has changed some policies, but their core message remains “obedience to the leadership is paramount, look only at information we have approved, and if you leave the boat, you will be a pariah. They seem to have forgotten the teachings of Christ.